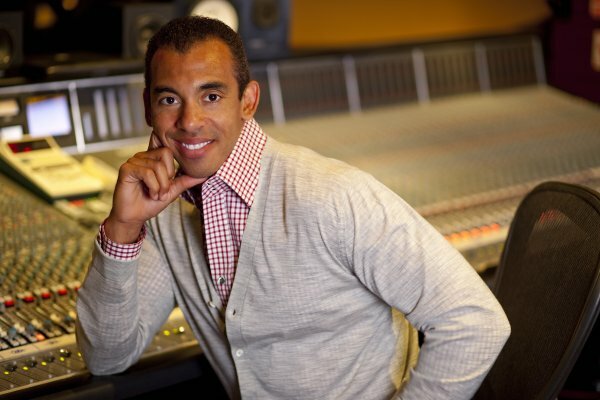 MD = Michael Dequina; HM = Harvey Mason Jr.
MD: You've obviously made a name for yourself in music, from writing to the production end, but was going into filmmaking always something you were interested in pursuing? HM: Yeah, definitely so. I'm a movie buff, and I love watching movies, so I always wished, dreamt that I would be able to make movies or be involved in them. I started and kind of got my feet wet on the music side doing music for films and then, to a bigger degree, the Dreamgirls thing, where we did all of the music for the film. That was kind of my introduction into the world of film, and I thought, this is a business I would love to be in. It was a lot of fun; I enjoy creating something from nothing the same way I do in making a record. Film is just an extension, the next level, of that because not only are you using music, you're using visuals and sound effects--all the different combined together. So it was kind of a dream come true for me to be able to make this movie. MD: How exactly did this project fall into your lap? Was this something you were already aware of, or was it just some sort of strange accident? HM: Strange accident. I have two kids. Their babysitter is a lady we'd been using for a few years, and one night after babysitting my kids, she's like, "You know, I've got a friend who goes to my school who's trying to get into the entertainment industry, and since you're in entertainment, do you think you could meet with him and see if you could connect him to anybody?" Of course, I said yes because she's my babysitter. So the next day she and Kris Belman came to the studio, and Kris had a trailer of about three minutes of this idea that he had for a film; it was a student film. He played me the trailer on his laptop, and immediately I was blown away. I was like, "This is incredible. This could be a great movie." And he said he was having a hard time meeting with the right people, and people wanted to make it a LeBron James highlight reel. So I took him around to a few different producers that I knew and a few different executives that I knew at studios, and we got a lukewarm response from pretty much all of them. They all were like, "Well, this is a great piece of LeBron film and unseen LeBron stuff; maybe we could do a TV special or something." And we were like, "We don't want to do that." So after about four or five months of doing that, I just told Kris, "Let's just make it ourselves. I'd never done a movie; you've never done a movie, but I've seen it done a million times, so let's go for it." So that's how we started kind of this four-year production journey. MD: So when was that first meeting? MD: What exactly about that trailer struck you so much that were not going to compromise and make it into, like those others suggested, a TV thing or highlight reel? HM: I think it was the fact that there was a real story there. It wasn't just cool to see LeBron jump and dunk and shoot--I've seen that a million times; everyone's seen that. The thing that struck me right off the bat was the relationships between the characters and where they started and where they ended. What a cool story arc that was, and what a cool opportunity it was to really get some insight into some people, most particularly LeBron--somebody that we know who they are on a very shallow level, just in the sports world. I thought this was a cool opportunity to get to see him and how he interacts with his friends, and his relationship and dynamic with he and the coach. Those were all things that were interesting to me. Also, I have a son who's 14, and I've coached he and his buddies since the time they were nine years old, a lot like Coach Dru [Joyce II] and his son [Dru Joyce III]. MD: And you also have basketball playing experience yourself. HM: Exactly. So the trailer hit me on the father level, with my son, and then it definitely resonated with me on an athlete and ex-player level. So there was a lot of different things in there that excited me. MD: So when you decided to do it all yourself, what exactly did that first entail--putting up the money for post-production? HM: It entailed putting up the money for post, yeah--and like everything. [laughs] We shot for another six or seven months. We had an archivist digging up old footage and licensing footage. Some of the other expenses were post, sound, music, licensing, still photography-- just everything. Travel. So my role started as that, just paying for a lot of different things, writing the checks. But then I was also involved on the creative level, working with Kris on making sure the edit was just right, making sure the right people were brought on board to help us. One of the things that I tried to do was provide Kris with a super-high standard for which to shoot. He had the same idea from the beginning; he's like, "We've got to make this thing bigger than and better than any doc ever." And that was what I wanted to really reinforce and what I really kind of demanded from everybody involved in the project. One of the things I did as a producer was make sure we were given every opportunity to do just that: that means hiring the right people, spending the money where it needed to be spent, and bringing in the right effects people, the right sound mixer. All the stuff you wouldn't normally do on a doc? That's what I did. [laughs] Then on a creative level, of course it was doing the music, doing the score and the soundtrack, and then just working with Kris and making sure that the movie was coming out exactly how we both envisioned it when we started. MD: And what did you guys envision? MD: Or, as some mainstream moviegoers would put it, like a "real" movie. HM: Right. We wanted to make it like a theatrical, scripted film. Already the elements were there: the story, the emotion, the highs, the lows, the opportunity to do all the cool things sound-wise and effects-wise. They were all built into the story and what Kris had already started, so we wanted to push the boundary of those things and really accentuate those opportunities to make it feel like a scripted film. MD: There was already a wealth of footage shot before you came onto the project, and then there was some additional shooting after that. How long did it take to whittle all that down into something manageable? HM: I think on and off we were editing for almost two years. We hired an archivist who went back and found a ton of footage from other family members, news outlets, and kids with camera phones--everything. We got everything we could get our hands on. And while he was doing that, we were editing pretty much continuously, integrating all the new footage we'd get in. We'd get a box of tapes and stills from one of the coaches' relatives, and we'd just say, "Oh, look at this; we got to stick this in." And so we'd involve that in the edit as well, and Kris was pretty much editing nonstop as we were getting more footage in. So it took a couple of years to number one, get the footage and stills; and then number two, really put in some kind of shape that was feeling like it was telling the story properly. MD: Was it always understood that once you got on board the project that you would also be composing the score? HM: I think it was, yeah. I had told Kris when we started that I would love to be involved in the music side even if I didn't produce [the film] because at that point I was just trying to connect him with the right producer or the right executive or the right studio. I was like, "I'll try to hook you up and get something going with the right person, and I can probably bring to the table a great soundtrack and possibly a great score." And so Kris and I understood that from the beginning. MD: You had contributed music to film soundtracks and ended up producing the entire soundtrack for a movie musical, but was traditional movie scoring something you wanted to do? HM: It was something I was definitely interested in, and I had done some little pieces here and there, so it was kind of the next step for me to go down that road as well. MD: How did you approach doing the score, as this was something a bit different from your previous music work, coming more from the R&B and pop world? HM: I approached from an emotional standpoint, really. I tried to make every piece of music create the mood that was required for the scene. And I'm so close to the movie, I think it helped me a lot. I lived a lot of these things as an athlete and then as a dad, so I have some pretty close connections to things that are happening on screen. I was able to draw from that and put some of that emotion out through the ends of my fingers, through the keys, and on to the score. My whole approach was how can I maximize what's on screen emotionally: if it was an exciting moment, big--like Dru hitting 3's from all over the place--I wanted to make the music active and really make the viewer excited and on the edge of their seat; or if it was LeBron getting suspended or walking out with his Fab Five guys on senior night, I wanted to be very emotional and make the viewer feel introspective and think about some of their own experiences. Just different little things like that is what I tried to accomplish with the music. MD: Did it feel a lot different from what you normally do, making records? HM: With records you're just basically doing whatever you want. You're creating a sound that you think will be cool for an artist, and your only point of reference is their past work, and if it's a new artist, you don't even have that, so a lot of times you're doing what you think is cool at the moment. With the film, you definitely had to please the visuals. You had to stay true to what was going on the screen, and you also have Kris as a director. Even though we're definitely partners on the film, he was the guy calling the shots, and I wanted to make sure he felt the music was appropriate to where the visuals were going. So it's very different from making records, plus the story of the music and the score continues over multiple moods; sometimes it can be this way, and then all of a sudden something happens and it comes down. Whereas a record, if you're making a club record, it's uptempo; if you're making a ballad, it's a ballad--you kind of know what you're doing right from the get-go, and it goes for three minutes. MD: How did you decide on premiering the film at the 2008 Toronto Film Festival? HM: It was just a function of when we completed the film; that was like the next closest cool festival to go to. We would've liked to have gone to Sundance earlier in the year, but we missed that; we weren't quite ready. We didn't want to screen it until it was right. We had a couple of opportunities to play it at some other festivals, to do a "director's pre-cut" or something, to show what you've got. It was important to us to with this kind of movie especially, to make the right first impression so people didn't just look at it as like, "Ah, some little doc." We really wanted to come out with a bang, so we needed enough time to set it up, and Toronto fit the calendar. And I think a lot of that was determined by number one, getting the film done; and number two, our agents at Endeavor, Phil Raskind and Mark Ankner, said, "This is a good festival; it's a good place where there's good business is being done, and there are a lot of people going to be there that we need to show this film to." MD: And it was especially good timing, coming right after LeBron played in the Olympics. HM: Yeah, it was perfect timing. And we had access to LeBron. We wanted LeBron to be at the screening, and so he and the Fab Five were all there. It was perfect timing. MD: Then the Lionsgate deal closed a couple of months later. HM: Yeah. We had five offers, basically. Right off the bat, after we did the screening we talked to a couple of studios right in the back room of the screening area, so the action started pretty quickly. It took us a little minute to sort out where the best place was. MD: Why was Lionsgate the best place? HM: With this project, we had brought to the table a lot of corporate marketing money: Nike, State Farm, Coca-Cola, the NBA, and a couple of others. So when we did the deal with whatever studio we were going to go with, we wanted to make sure they understood how to best utilize all those relationships and that money. Lionsgate came to the table with a great marketing plan, and we really felt comfortable with the people that they had in place that would be quarterbacking all the marketing efforts. MD: What was the approach in putting together the Music Inspired by the Film album? HM: I had been working on a soundtrack deal for almost a year before we finished the movie, and I knew that the soundtrack was going to be really important to the film as far as the synergy that could be there between the record and the movie, helping each other. I knew that the core audience is a fan of hip-hop music, and I just knew there was an immediate connection between the two elements. So I had approached Jimmy Iovine at Interscope probably a year before Toronto and started talking to him about it. He was excited about it and definitely wanted to do the soundtrack and ultimately wanted to be involved in the [production of the] film. Once we did that deal, and I was given the opportunity to make the soundtrack, it was a matter of finding the right artists first and trying to get from LeBron who he liked, what kind of music inspired him, what kind of music they listened to back in the day, and then I kind of cross-referenced that with the type of artists that are popular and relevant today. Take what LeBron likes, take what the general public likes, find the best ones, and then show the film to as many of those artists as I could. We wanted to make sure that the music that they were composing or producing or writing had some sort of a tie-in to the film or felt somewhat relevant to the story or to LeBron's character or to one of the other characters in the movie. So that took a lot of time, showing everybody the movie, talking about it, flying somebody with a copy of the DVD to go see Eminem in Detroit, flying someone to New York--we did a lot of that. It wasn't the easiest way to make a soundtrack, but I think it made for a much better product. MD: A better product because there was actually a concept behind it instead of just a bunch of singles. HM: Or a bunch of leftovers, even worse. A lot of soundtracks are like, "Oh, Lil' Wayne has this old record that he didn't use on his album--use that." So we didn't do any of that. We just did songs that we thought fit, and almost every song is a brand new song written for this film. MD: Once the soundtrack album was finished, there weren't any significant changes made to song selections within the film, except for the end credits songs, were there? HM: There was the end credits, and then that same song ["Stronger"] was placed a little bit earlier in the movie just as an instrumental. We just did that to try and tie the soundtrack to the film a little more closely. 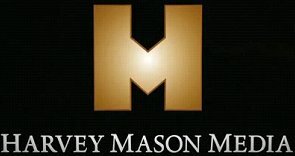 MD: Now that you have your first film production done, are there other projects in this arena on deck from Harvey Mason Media? HM: I'd like to have some more things happen, and I have a couple of opportunities that I'm working on, but nothing set in stone yet. But I'm definitely excited about this space and being in movies and television. This has been a great experience for me. I learned a lot--I learned a lot of things that I did right, and I learned a lot of things that I didn't do right. [laughs] But I'm very excited to continue on making more movies and television productions. MD: Do have anything in television going right now? HM: We have a couple of things we're developing that we hope will turn out right, but I think some of it's going to depend on the success of the movie, if people like it, if critics think it was done properly, if fans buy the tickets--all the different things that go into making a successful movie. MD: And obviously the music is still going. HM: The music [from the film] is doing great. Three videos. "Forever" just debuted in the [Billboard] Hot 100 at number 8, which is incredible. Almost 200,000 downloads already, so it's doing really well. MD: Would you be open to doing another score assignment, just for hire? HM: Definitely. I'm dying to do another score. I have a couple of people out there hustling some opportunities for me because I want to put my name in the hat. I'm not going to pretend to be Hans Zimmer or somebody like that, but I think for my niche of music, I think I can be a relevant composer in a certain niche of film for sure. MD: For your film productions, you're up for any type of project. HM: Yeah, absolutely. Anything that excites me. Everything that I've done, whether it be music or film, I do it because I like it, and hopefully the people that are out there like what I like. With this film, so far, it seems like our tastes have matched. So if another project comes to the table, I can guarantee I'm not going to do it if it's not something I like. So that could be anything; it could be about basketball, it could be about music, it could be about cooking--it doesn't matter. If I'm into it, and I'm excited by it, then it's something that I'll want to do. MD: What do you hope audiences come away with after seeing the film? HM: I hope audiences come away feeling uplifted. I hope they feel empowered and rejuvenated. Everyone gets worn down every day trying to find success or just make it to tomorrow. This is a film that tells a great story; it's a film that has an encouraging and uplifting message. It shows that anybody can accomplish great things if they work hard and reach for their dreams. You know, I like action movies and cars blowing up and shooting people and stuff. But for me, this was an opportunity to tell a story that was important and could make a difference to people and be entertaining at the same time. And having kids, I'm always looking for a role model or for something to start a discussion with my kids, and this is a movie that has that. It establishes LeBron even more so as a great role model because it shows how hard he worked; it shows where he came from; it shows what he had to overcome to accomplish some of the things that he did. This is a great life lesson that people can learn and parents can use as something they can start talking with their kids about.